This is the Expansion pack VI for the popular Beer & Pretzel’s Game STARFIGHT©. The expansion features a new kind of ship: the battleship. This is a heavily armed and mighty kind of ship capable to fire in more than one direction and featuring batteries and damage control. In this expansion you will find four battleships and the new rules covering them. 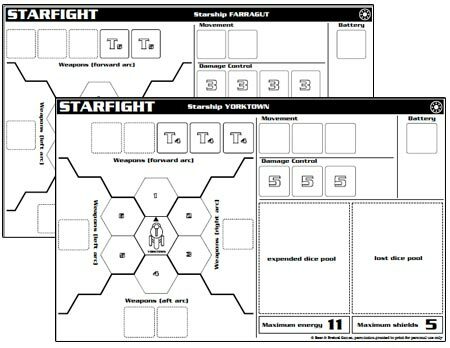 This is not a game itself, you need the STARFIGHT© base rules and the expansion pack III, in order to use this expansion.